The premise involves fifteen high school students, each the “ultimate” in their area of expertise — such as the ultimate fashionista, the ultimate swimmer, or the ultimate hoodlum — invited to attend one of the world’s most prestigious academies, Hope’s Peak Academy. However, once they arrive they find themselves trapped inside and presented with a dire opportunity. One of the students can escape if they can murder one of their classmates and get away with it. But if the culprit is caught during a class trial, then they’ll be executed as punishment. The story is centered around that killing game as students begin dropping dead one by one. Though the conceit is grim, Danganronpa manages to stay relatively light hearted by not taking itself too seriously. The kids’ tormentor is a mastermind in the form of a mechanical teddy bear named Monokuma, who taunts them at every turn. The students’ day to day life can be pretty amusing as they talk about simple teenage concerns, like gaining weight or getting a cute boy to notice them, in between all the killings. Even the murders themselves have an artistic bent to them, as all blood in the game is displayed in hues of hot pink instead of red. In fact, the art style is huge part of the appeal. The environments in Hope’s Peak appear almost like a pop-up storybook, with the characters looking like paper dolls. The exaggerated, anime-style protagonists inject a ton of personality into the proceedings, which play out like a visual novel. Danganronpa exists right at the intersection of creepy and cute, tackling some grisly topics while also featuring a talking teddy bear that squeaks when he walks. Don’t come in expecting a hard-edged murder mystery, but don’t think they’ll shy away from showing you the primal fear in a character that’s about to be executed either. The story is excellent, slowly unraveling why the students were trapped in Hope’s Peak. Gradually it explains some unexpected motives behind murder that might make you think twice about who you condemn. Gameplay switches between Daily Life, where students live peacefully waiting for a would-be murderer to make a move, and Deadly Life, which kicks in the instant a body is discovered. Deadly Life involves searching the school for clues and then holding the all important class trial. The class trial plays out remarkably similar to the Ace Attorney series of games, wherein players examine arguments made by other students and then present evidence that contradicts them to move the case along. All this is done by collecting “truth bullets” — clues to the mystery — and firing them at false statements, which fly across the screen as characters say them. This creates an element of twitch shooting that most visual novels don’t have. Other minigames in the class trial include a simple version of hangman where you must shoot the correct letter and a “bullet time battle,” a rhythm-based argument game that’s explained really poorly in its tutorial. The class trial is at the heart of what makes Danganronpa fun, once you figure out its myriad weird mechanics. The controls for the PC version all you to control either using a keyboard and mouse or a gamepad, and neither solution works perfectly. I found the keyboard and mouse better for moving around the school during investigations, but wanted to use the gamepad during class trials. If you have both set up on your PC, you can switch back and forth easily, though its a bit clumsy to swap. Danganronpa has a meaty, well-written story, lasting about 30 hours, and an additional mode that follows the students in a “what if” scenario where nobody kills each other. There’s plenty to occupy your time, although once you’ve already solved the murders there’s not much incentive to replay the game other than to collect assorted prizes from a gachapon-style machine. However, if you do devour all the content included here and still want more, developer Spike-Chunsoft has suggested that a PC port of the sequel, Danganronpa 2: Goodbye Despair, is on the way soon. 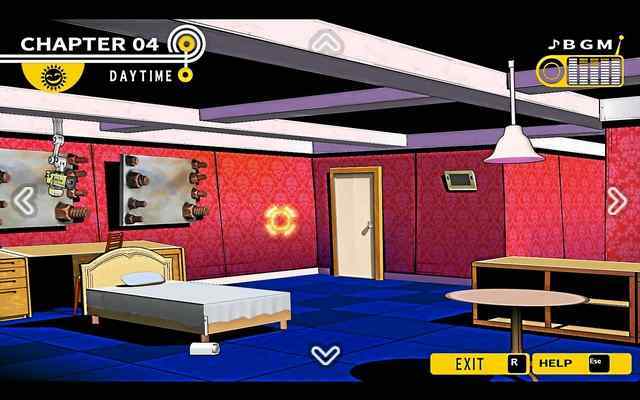 The pop-art murder mystery at the center of Danganronpa features a lovable cast and while it sounds odd, the stylish, argument-based battles are a blast to play. At the price of $29.99, it’s definitely worth a look. Spike-Chunsoft provided a Steam code of this game for the purposes of this review.